Welcome to day 5 of our 31 days. As I read through the farm stories the one thing that jumps out at me is the passion that each family has for agriculture. They are hardworking, honest folks who are doing their best to put food on their tables and yours. I am amazed at their dedication to this lifestyle. For me, I find strength in each story. You see being a farm wife isn't always sweet tea & porch swings. 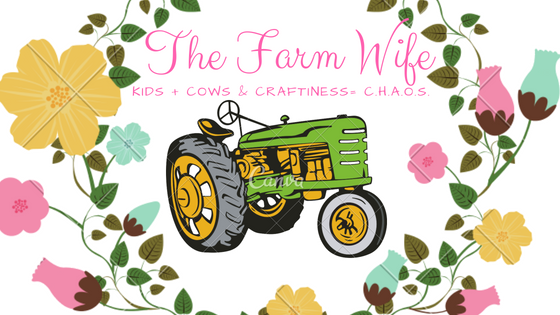 Even if you grew up a farm kid, the minute you marry a farmer life changes. The burdens of farm life are now carried on your shoulders. This isn't to say I would have it any other way but knowing that other families are out there, facing the same challenges and overcoming each obstacle brings me a sense of comfort and unity with these families. Today's family hails from Kansas! We are Jeff, Vickie, Lance, Lacey and Nolan Winter. We are located in Andale, KS, which is right outside of Wichita, KS. Jeff and I were both raised on the farm. Jeff's family farm had been passed down from one generation to the next. My father came from a farming background but had acquired ground through word of mouth. He quit farming when I was a teenager because it was just getting to hard for him to do it all by himself. Jeff and I both went to Kansas State University and graduated in December of 2002 with Agricultural degrees. After a one year stint as a crop consultant, he moved back to the farm. I on the hand spent quite a few years in the corporate world. Jeff and I married in 2006. Jeff worked hard on the farm while I balanced city life and farm life. About three years ago I decided that the farming life was where I wanted to spend a majority of my time. Family time and farm life were worth more than the commute. So here we are living our dream! We are mainly row crop and wheat farmers. Row crops consist of corn, soybeans, and milo (sorghum). We have irrigated (a giant sprinkler system) ground and dry land, which consists of hoping mother nature will give you what you need to produce a good crop. We also have two beef cows, six egg laying chickens, two rabbits, three dogs and one cat. We are busy from March/April to the end of November. And even the winter months are not too slow as we are servicing equipment, helping neighbors feed cattle, or plowing snow around our little town. There is always something to be done no matter what time of year it is. My children help by doing animal chores. They also get the chance to go with their dad. He has them help service equipment or ride in the tractors or combine. They are also wonderful helpers when it is harvest time and we have to run suppers out to all that are helping. It is no small feat feeding six guys who just so happen to be in three different fields. The more helping hands the better! Jeff and I have both been involved off the farm. We have both been on the State Young Farmers and Ranchers committee. Jeff was active on our county Farm Bureau board and we both still help with community activities that they put on. Jeff currently serves on the Equus Beds board and I am currently a room mother for my son's first grade class. Our favorite activity is to ride four wheelers as we go around and check our irrigated fields. It gives us a chance to be outside, get the wind in our hair and spend some quality time together as we get work done. That we work long, hard hours to provide our families and yours with the best quality products. If I wouldn't feed it to my family, I won't feed it to yours. And know that we are always open for questions. Currently we do not. But I am always open to emails, calls, or visits! 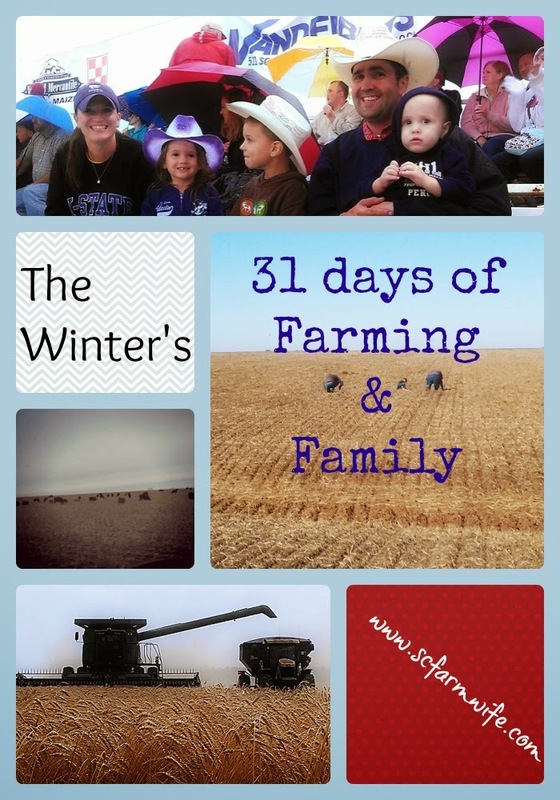 A big thank you to the Winter Family for sharing about their farm. If you have a question for them please feel free to leave it in the comments...and if you are ever in Kansas be sure to stop by for a visit...I know I will be! Until next time...may God bless you & keep you.